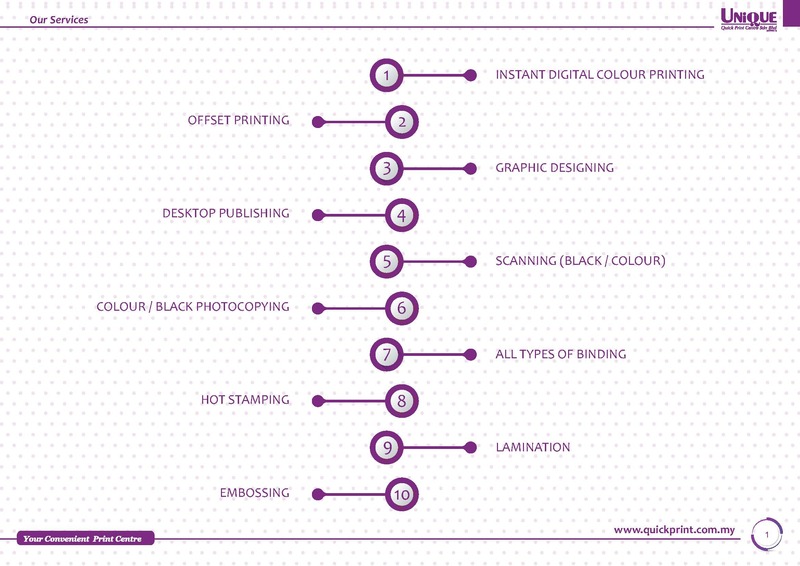 We provide instant digital print for short run and immediate requirement. For such as name cards, reports, flyers, posters, banners, bunting, etc. For clear sharp quality printing for such items like brochures, flyers, catalogues, annual reports, newsletter, magazine, books, etc. We offer all types of binding from most basic comb bind, wire o bind, staple bind to thread sewn perfect bind. We provide graphic designing, typesetting & layout, constructing logo to finished artwork. For finishing we have UV varnishing, gloss/matte lamination, spot UV, embossing, hot stamping, foiling, etc.